So you’ve obtained and listed your perfect products using Kyozou, now what? You need to get them in front of as many potential buyers as possible and they aren’t going to do that by themselves. That’s where Kyozou will help you with SEO for Ecommerce websites combined with SEM. Search Engine Optimization (SEO) covers a range of topics including optimizing keywords, increasing backlinks, utilizing Google Analytics, webmaster, and improving technical aspects of your sites like configuring your sitemaps, fixing duplicate content issues and improving site speed. SEM typically involves running ad campaigns on search engine networks. If you type in a product on Google, you’ll notice that the first 3 results are typically paid ads, that’s SEM. If you want your target customers to take notice of what you’re selling on your site, it starts with ensuring that your SEO/SEM is on point so that your products are the ones that show up on Google when they type in what they’re looking for. (1) People research companies online first. How do you search for new businesses? (2) Google only wants to deliver the “best” search results for its users. The more relevant your site is to your area of expertise, the higher you will rank. SEO for ecommerce websites is about making your content relevant. (4) SEO delivers an above average ROI. SEO leads cost less than other lead sources. Each business is unique and has different goals. With your goals in mind you’ll give us an expectation from the SEO/SEM services we’re offering to you. If you choose to solely go the SEO route, and your goals are to bring monthly revenues to $10,000 within the next 6 months then we will set our internal goals to $10,000 for you and create our strategy accordingly. A true SEO process can take months, but when done right you can expect your rankings to improve immensely, which means more sales. If you opt in for SEM services, your goals and expectations depend on your budget. WIth your budget in effect, we will focus on creating a campaign around high-profit keywords related to your specific niche. The first week of your SEO journey starts off with providing you with your initial SEO audit report that contains your keyword research. Keywords can include long-tail phrases (e.g. fender flares for Mustang) that your potential customers might type into a search engine when shopping. 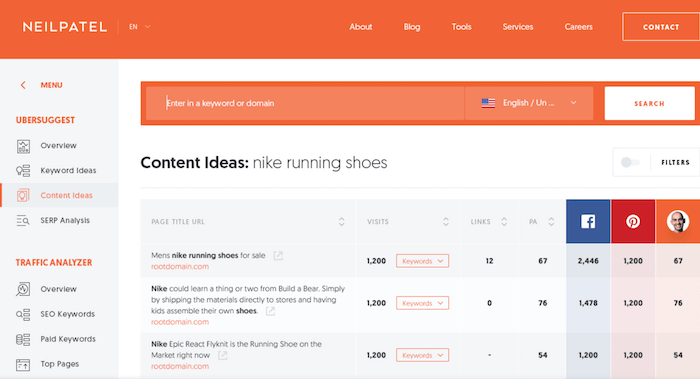 With a list of keywords specific to you, you can now design your content around them. Kyozou will setup and configure your Google Analytics, Google Webmaster and Bing Webmaster Tool accounts for you. The best way to make your products appear in the search engines is to configure your websites, in, well, the search engines themselves. Optimizing any of these potential issues can drastically improve your rankings in Google’s search algorithms. Fixes like these can literally take you from the 4th page of Google all the way to the 1st page in some cases. A backlink, in short, are any links on another website that points back to yours. By having more websites linked back to your website, Google’s search algorithms rank you higher because your website is building credibility. With increased credibility your products will start appearing in search results when people type in what you’re selling. From this point on, we will start working on backlinks and each week we will be sending the SEO work reports which will include SEO work done within the week and ranking reports of the targeted keywords. Ongoing maintenance includes continual optimization/fixing of SEO related technical issues and configuration of Analytics and Webmaster accounts. Google and other search engine providers continually update their search algorithms, which means SEO is not a one time thing. SEO needs to be continually refined to conform to Google’s standards if you want your sites and products to rank. Furthermore, SEO is also strategic. By continually optimizing, you’re putting yourself ahead of your competition that may not be doing the same. You want your products to appear higher than theirs, and we’re here to help you achieve that. (1) People are searching online for your business. 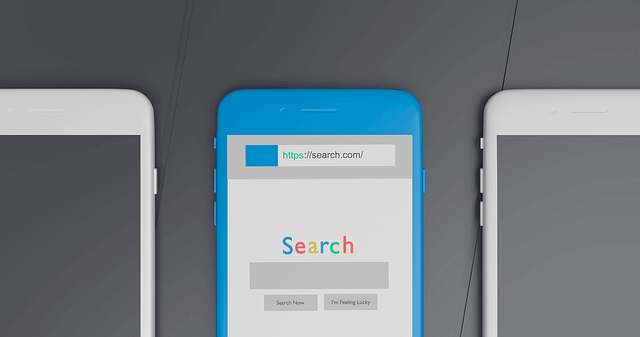 95% of online experiences being with a Search Engine. 70% of links Searchers click on are Organic Results. 75% of users will never scroll past the first page of results. (2) Other businesses are getting impressive results through SEO. SEO is a top rated marketing channel in terms of below-average cost per lead. SEO is a top rated marketing channel in terms of above average sales conversions. 75% of Global Marketers rate SEO as Good or Excellent in terms of ROI, higher than any other digital marketing channel. Your competitors have significant levels of Search Traffic and Keyword visibility compared to you! (3) You too can increase your profits and grow your business with SEO. An optimized website attracts more visitors who have already expressed a need to your website. It provides these visitors with the solutions they need. As a result, this increases leads, sales and profits over time. We will start off your SEM/PPC campaign by doing keyword research. Next we will start a competitor analysis in which we analyze ads and keywords used by relevant competitors to help optimize ad copies and to help select the best keywords to compete against. Results are highly dependent on how much you wish to invest in the campaign and how much you wish to budget. Note that Google is typically more competitive and thus can be more expensive to rank against depending on how popular your niche is. If you have a more modest budget, Bing may be the better place to start initially. We will continually use Google Analytics to track and monitor the performance of the campaign, while continually refining or removing keywords which are not performing well. Improving SEO in ecommerce can be difficult because you probably don’t have a lot of text. Here’s what you can do. If you don’t have one already, add a blog to your website. Use ubersuggest and start typing in relevant keywords (preferably long-tail phrases) related to your niche. If your website is fairly new, look for keywords that a low to moderate monthly search volume and a low to medium SEO difficulty. This will give you the opportunity to establish authority in a niche. If you can find high volume keywords with a low competition that’s even better. You’ll also be provided with additional keywords ideas based off what you typed in. As an expert in your niche, by creating and uploading 2-8 high quality articles a month based on the keyword phrases you’ve found on your blog you’ll establish your website as an authority in the subject. In fact, Google’s algorithms will have no choice but to force your website to the top of related searches if you do this. The key point is high quality. This means the blog posts should preferably be 1200+ words, and absolutely need to provide value to the readers. It can take months to get your website to the top but the time will pass regardless. 1-2 posts a week is great to quicken the time it takes. If you’re having trouble thinking of relevant keywords, put yourself in your ideal customers shoes. What would they type into Google if they were looking for your products. A helpful site site SimilarWeb. Type in some of your competitors url’s and scroll down to Search. Here it will give you a list of the top organic keywords that are providing the most traffic to the websites you typed in. Further at the bottom it will also provide you with more competitors and similar sites for additional ideas. Competitor analysis is an integral part of growing your business and succeeding.